Today's happy mail makes up for a dead fridge right? For a limited time, Tiny Prints are offering three free samples of any of their outstanding stationery products! Just use the promo code 3FREESAMPLES when you checkout to get this incredible deal. Please note that the offer is limited to three samples per customer and you can only do it once, but it is a great way to try out their stuff. It is truly classy stationery. Just look at these little ducks! Check them out today and remember to use the promo code 3FREESAMPLES to get them free! A quick baby card I put together with Emily for our cousins. I just popped some handmade paper over a gingham background, found a matching ribbon from my stash and mounted an epoxy sticker on some white high gloss card. Rounded the corners and popped in the mail! Simple and fun for Mumm and Emily to do together! 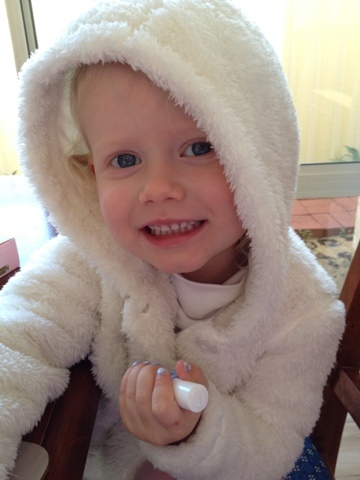 It's time again for Ella's Take 12. On the 12th of each month I stop and take (hopefully 12) photos of our daily life. There’s also monthly theme prompts in the Take Twelve pack, but I’m keeping it simple with a toddler and new baby! 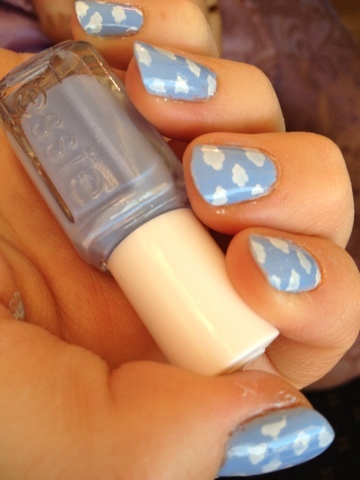 Emily and I used Essie Bikini so Teeny and Konad Plate m79 for a cute cloudy nail stamping manicure. Emily's was all done in 15 mins while Edward slept. I'm sponsoring a giveaway over at Simple Scrapper where you can win my most popular workshop you have until Sunday July 15 to enter - so run and comment! For many people organizing scrapbooking files and digital supplies on their computer seems confusing, overwhelming, and time consuming. Did you know you can organize without buying new software, moving folders or converting files? 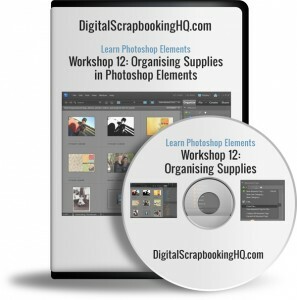 If you have Photoshop Elements you will love this fresh look at digital scrapbooking organization. Head over to Simple Scrapper to read on and see my video demonstrating how simple it is to organise! To enter, leave a comment at Simple Scrapper.